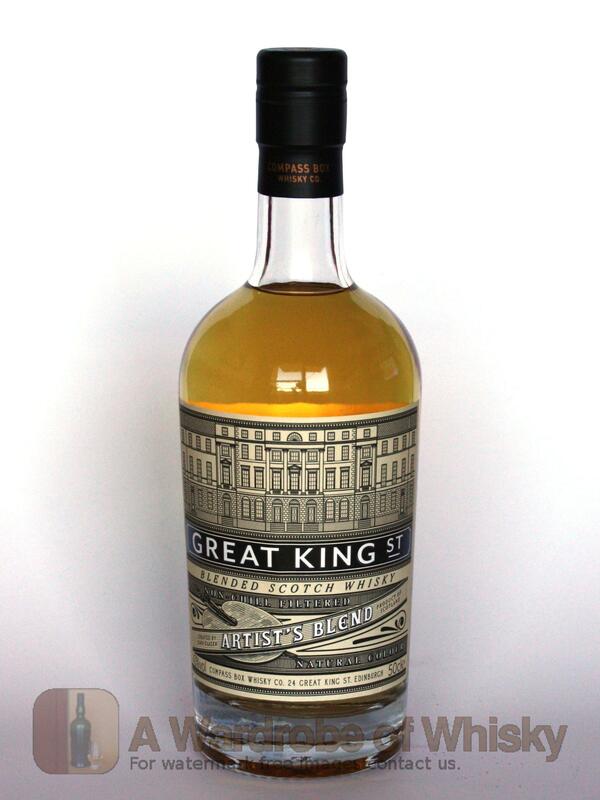 The first in Compass Box's Great King Street range, named for the address of their Edinburgh office, kicking off their second decade in business. 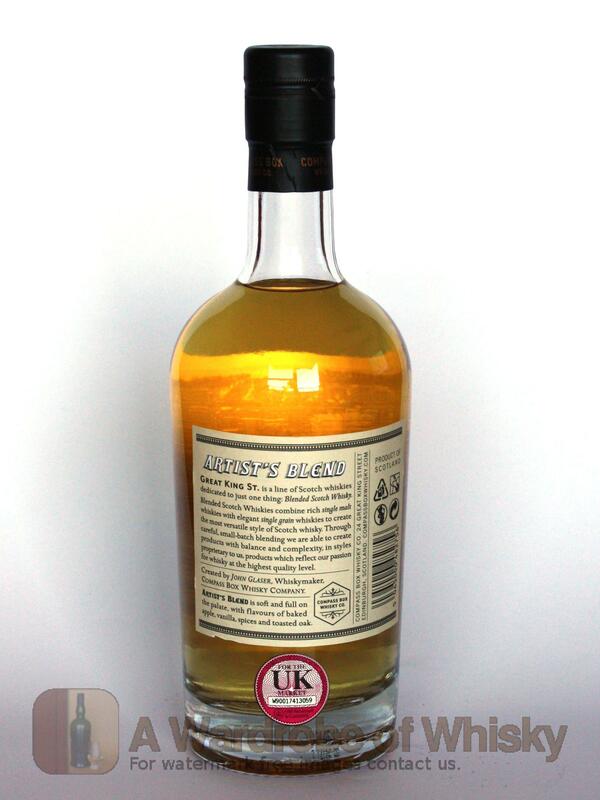 The Artist's Blend is a high malt content blend designed to be easy drinking and appealing to a wide range of consumers, from non-whisky drinkers and cocktail lovers through to single malt fanatics, and is full of Compass Box innovation and flair. Nose (89): more than average. honey, citrus, spices, wood, pepper, malt. Taste (90): powerful, oily. honey, toffee, citrus, candies, spices, wood, cinnamon. Finish (90): longer than average. honey, citrus, toffee. 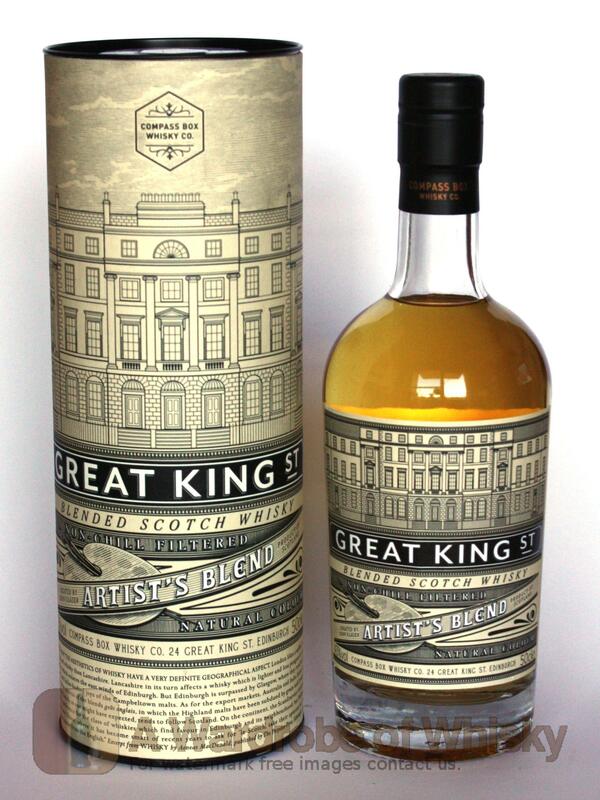 These bottles have been chosen over others because their nose, taste and finish are more similar to Great King Street Artisan Blended Whisky than the rest. Go to Whisky-o-matic page to fine tuning other settings.